The majority of people know Sir Frederick Banting as one of the co-discoverers of insulin, but there was a lot more to Banting than his work in medicine. Banting was also an artist and he began painting while he lived in London. Banting had been walking down Dundas Street when he spotted a painting in a store window. He thought that he could probably produce something better and decided to give it a try. From there, he bought some basic supplies and started working. He really didn’t know a lot about painting, and actually used watercolour brushes and oil paints in his initial pieces. Banting’s medical practice was very slow when he first moved to the city, and he painted as a hobby to pass the time. While Banting was in London, he did at least one of his paintings on the back of a piece of cardboard because he could not afford to buy proper canvasses. Because his medical practice was not making money, he was under a lot of financial stress. Painting became a way to escape from the pressures in his life. Banting continued his painting even after his financial situation improved. Through the discovery of insulin, winning the Nobel Prize, and all of the public engagements he was obligated to take part in afterwards, Banting kept up with his art and his skill continued to grow. In 1925 Banting met the Group of Seven and they mentored Banting in his painting career. Banting’s work bears a striking resemblance to the natural landscapes painted by the Group of Seven as they would give him feedback on what he was creating. Banting would show a piece to A.Y. Jackson, in particular, who would critique it and then Banting would redo the painting taking that advice into consideration. He even accompanied Jackson on a number of trips to places such as the eastern arctic and rural Quebec to paint and sketch. Banting was well-respected by the Group not only because of his medical career but because of his artistic talent. Banting had planned on starting to paint professionally when he turned fifty, but unfortunately he died before that dream could become a reality. Even though Banting never became a full-time painter, he created more than 200 paintings, as well as scores of drawings and carvings during his life which featured scenic landscapes or rural buildings. Some of the paintings and sketches on display at Banting House NHSC. 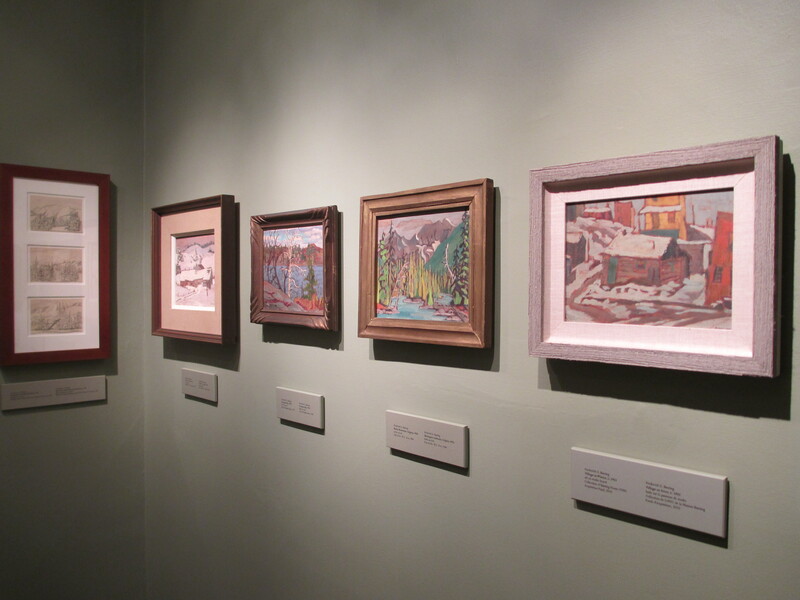 At Banting House National Historic Site of Canada, there is a gallery full of Banting’s paintings, carvings, and sketches. They represent a different side of Banting than we are used to seeing. Banting’s medical work has helped millions of people living with diabetes lead happy and productive lives, but painting was his true passion. When you look at his artwork, you can see how Banting’s work improved over time and you get a sense of how important art was to him. Banting had many talents, but his art was one of the most important aspects of his life to him. His passion for painting allowed him to escape the public pressures he felt and to produce some very detailed and striking work.